Hiro (Kyoto, Japan) on 17 April 2018 in Plant & Nature. @Gérard: Sakura is one of girls' names. Maybe drama in which a lovely girl plays an active role ! Is there not a 'Culture Channel Sakura' ?! @Ronnie 2¢: It may be a nice channel ! These blossoms are very beautiful! @grouser: I like a nature programme, too ! Excellent backlighting on this tree of beautiful blossoms!! 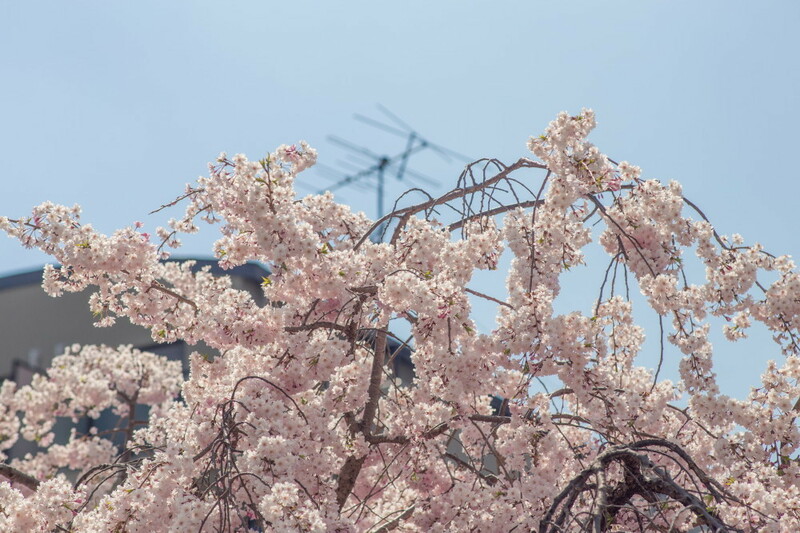 The blossoms steal the show compared to an out-of-date antenna! I really like the blossoms...beautiful. I wonder what's on TV. Beautiful Sakura. I love watching the sumo tournaments on NHK World. @Steve Rice: Ah, maybe Sakura loves sumo, too ! Ah ...flowers too...It's really a silly Tuesday ! I love the title! A great image! Happy ST! Une floraison abondante ! Dans ma région tous les pétales sont au sol !